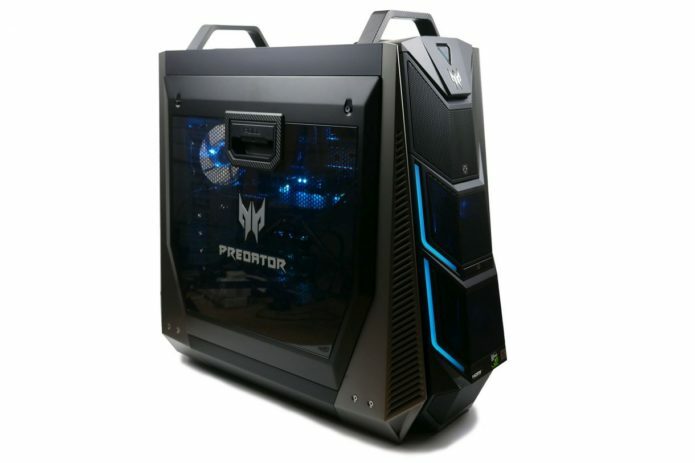 The Predator Orion 9000 is Acer’s flagship desktop gaming PC. Available in a range of configurations, this monster of a machine can house multiple graphics cards and the very highest-end CPUs available, along with plenty of storage options too. With its enormous case, replete with handles on the top, wheels at the back and a plethora of RGB lighting, this is far from the last word in subtlely. However, if all out performance and a bold design statement is what you’re after, the Orion 9000 may be right up your street.